Item despatched promptly. If customer is not satisfied with item then it can be returned at customer's expense and a refund issued, excluding P+P costs. These handmade sheep, photographed in their natural environment of the Lakeland fells, are ideal for collectors and would make someone a lovely gift. 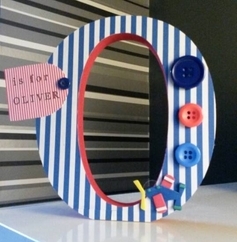 Each sheep is painstakingly made by the process of..
Beautiful wooden button letter, personilsed with name. 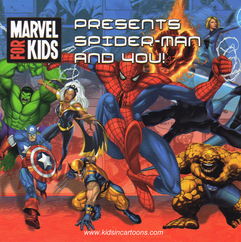 Mixed colours or blue/red for boys version. Date of birth can be added as free extra!! The delivery price is for one item, depending on how many items you order postage will be combined to give you a cheaper delivery price, please feel free to message to get a delivery price. 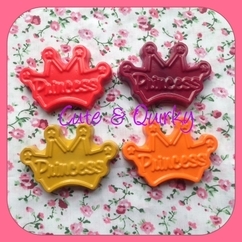 All crayons..
4 Princess crayons, Colours vary in each pack, Please pop by our Facebook page to see our full range. 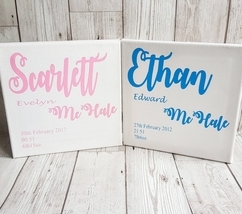 Turn around time for framed cuts is a maximum of 3 weeks, including delivery. 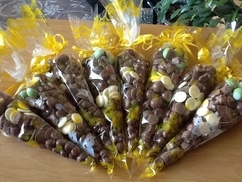 Please let me know if you require your order urgently. 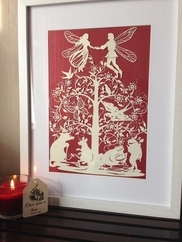 Please note that all items are made to order, with all details..
Gorgeous framed paper cut, design based on the original fairy tale by The Brothers Grimm. The design will be framed to give a floating effect, and double mounted. 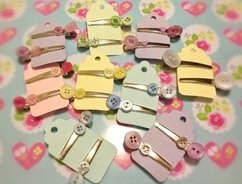 Will also bear a Bramble Crafts tag.. Dispatched within 2 weeks of receiving your prints. At peak times like Christmas we may need a day or so longer. RETURNS We personally put a great deal of care and attention into each and every item.. 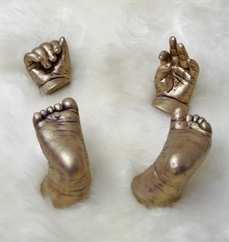 Beautifully handcrafted framed and freestanding 3d hand and foot casts, handclasp sculptures and outprint tiles of your baby, toddler or child's hands and feet. 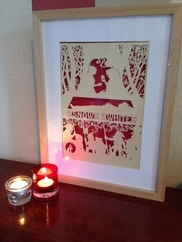 Gorgeous framed paper cut, design based on the original fairy tale by Hans Christian Anderson. The design will be framed to give a floating effect, and double mounted. 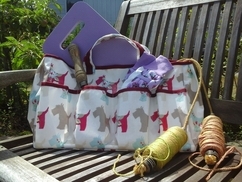 Will also bear a Bramble Crafts.. I use Royal Mail first class for posting items out to you and will post within 1 day of cleared payment received. If for any reason you don't like the item or it doesn't fit, you can return it.. 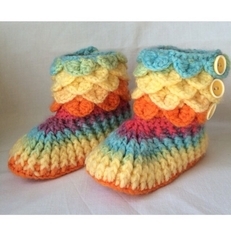 Handmade crochet slipper boots in baby size 0-6 months. 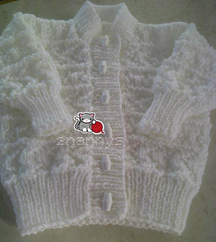 They have a 3 button fastening on the side and are made from Ice Magic Baby yarn, which is 100% acrylic. I can make these boots in size 6-12 months..
Dinosaur Box Frame comes with matching Door Hanger The perfect Birthday/Christmas gift for dinosaur lovers!!! 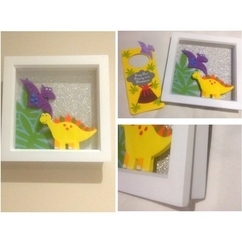 3D foam dinosaurs in box frame with glitter background Door Hanger reads: 'Keep Out! Playing.. 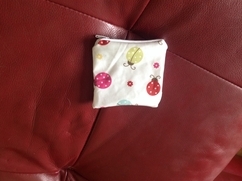 This is a handy way of keeping hand sized sanitizer which can be hung from your baby nappy bag so it is always to hand. 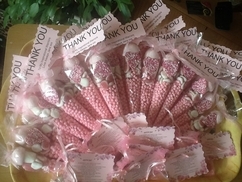 Great gift for a baby shower for mum to be. 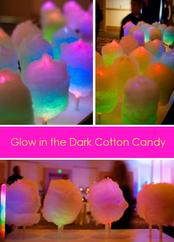 I have these in various colours and.. 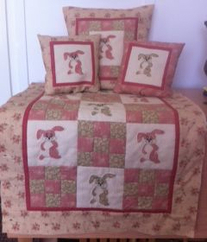 This is a large 20" cushion filled with a fire safe polyester cushion pad. 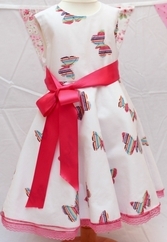 It is our own design with a combination of patchwork and applique using 100% cotton fabric. 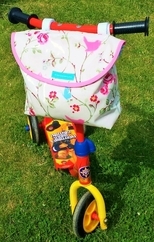 It is a lovely addition to any..
Child scooter / bike bag, in oilcloth easily attached onto a child `s bike or scooter using the attached velcro straps. Please let us know the print and color you purchased to enable us to dispatch the.. The 14 days for cancellation starts the day after the goods have been received or, in the case of service contracts, the date the contract was entered into. Where different goods within an order are delivered..
Orders can be cancelled up to one week before scheduled delivery date, after which a 50% cost per item will be charged. 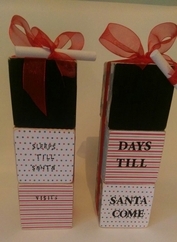 We do not accept returns however all boxes will be subject to a strict quality control.. 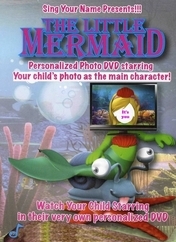 The perfect gift for the newest addition to your family. 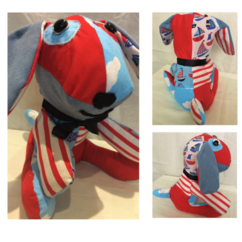 Meet Percy the Patchwork Dog. 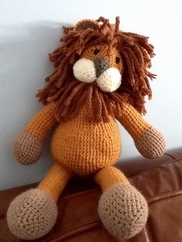 Percy looks lovely displayed on a shelf as a decorative for a bedroom/nursery He also enjoys storytime and a cuddle -One of a kind -100% new materials -Patterns on fabric.. If the product is damaged or not what you ordered please contact us via email, to resolve the issue. 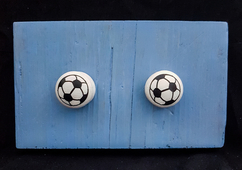 If you just wish to cancel the order you may return it for a full refund, the purchaser is to cover..
Hooks ideal for children's bedroom Mounted on reclaimed wood back board The skittles have previously been used so therefore may show signs of use, small dents, scratches etc. They have been glued and.. 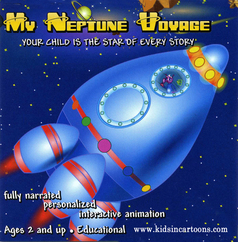 Dispatched within 2 weeks. At peak times like Christmas we may need a day or so longer. 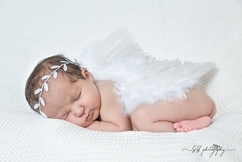 Capture your special moments.We specialise in baby,kids,family and special occasions photography. 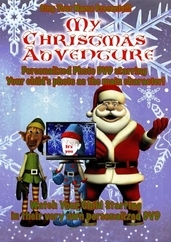 Take a 30 min professional photo session and 3 digital images just for £25. 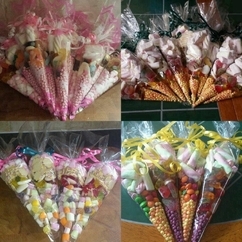 I will endeavour to dispatch your order within 1-2 working days by second class post. I do hope you love your purchase and are completely happy. If you do have any problems please return the item immediately.. This lovely dolly stands appropriately 16 inches. Her body is made from tea dyed cotton with various manmade and natural materials for her clothes and hair. She has a lovely bead necklace, black and white.. 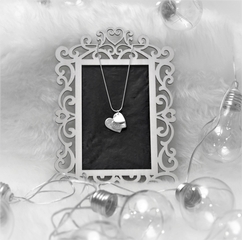 Your heart and bear wall hanging will be lovingly wrapped and shipped to you within 1 - 2 days from receiving payment. 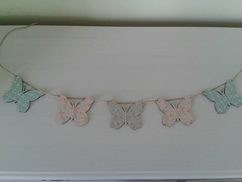 This wall hanging would make a lovely decoration for a child's room. It is made from a mixture of plain and patterned felt and the pieces are blanket stitched together using co-ordinating embroidery silk.. 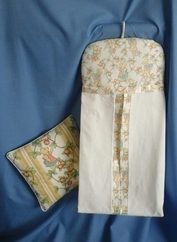 This is a small 10" cushion filled with a fire safe polyester cushion pad. 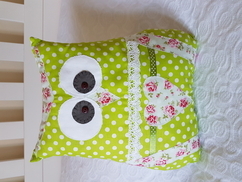 It is our own design with a combination of patchwork and applique using 100% cotton fabric. It is a lovely addition to any.. I aim to dispatch goods within 2 days of receiving cleared payment. Unfortunately, I am unable to accept returns at this time. 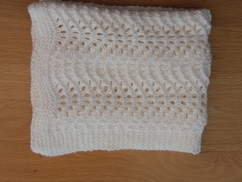 A cream handknitted Doll's pram, cot or carrycot blanket. 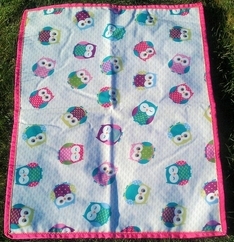 Each blanket measures approximately 33 x 45cm (13 x 18inches), made with acrylic baby wool. Each blanket is handknitted in a smoke free environment.. This handcrafted Rapunzel themed tutu is perfect for parties and dress up with light weight, floaty, layered tulle and a stretch waist band. 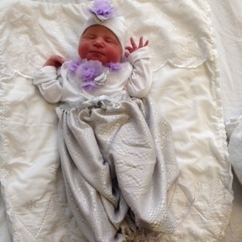 The tutu fits children age 2-7 with a waist measurement up..
A lemon handknitted Doll's pram, cot or carrycot blanket. 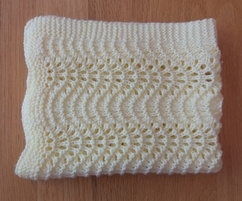 Each blanket measures approximately 33 x 45cm (13 x 18inches), made with acrylic baby wool. Each blanket is handknitted in a smoke free environment.. This listing is for a baby's bib which is in the style of a monster. 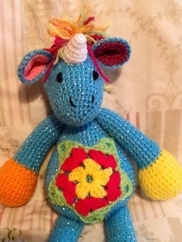 It is made in 100% cotton yarn. Ready to ship. 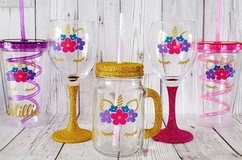 Can be made to order in different colours please contact me with your requirements..
All item's are made to order so please allow 1-2 week's for dispatch unless otherwise stated. As item's are personalised returns are only available if product/s are faulty. Please contact us for more.. 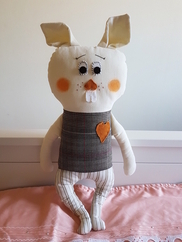 Introducing Bella the Sock Bunny The perfect toy for your child to play with or as a lovely decorative on the shelf -100% NEW materials - Good quality fabrics - CE tested *If you have any questions.. Items will be sent within approx 48 hours of receipt of the order. Free of Charge in th UK. If any item are damaged we are happy to replace the item if the buyer returns the damaged item with 14 days..
Light can play trick on eyes and this model does exactly that. 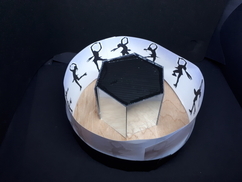 We know that the pictures inside the drum are still pictures, but when the drum is turned the animals and characters appear to move. A Victorian.. Items can be returned faulty as long as they are still in their original state ,unused or damaged. Please contact us if there is a problem with your purchase and we will do our level best to resolve..
Beautiful Owl print play tent /Teepee easy to put up and down .This teepee can be for both boys and girls. The tepee is made from 100% cream cotton canvas very durable fabric,100% cotton owl print and..
Dispatch 1-3 working days. I hope you will be pleased with your purchase, but If your not happy please contact me within 7 days to discuss return/refund. 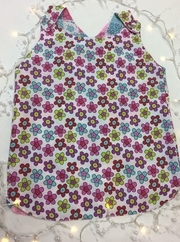 So Cute, Handmade Lined Cotton Bodice With Minnie Mouse Print. Scooped Back With Button Fastenings. 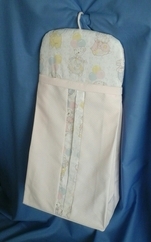 Plain Pink Cotton Generous Full Skirt Finished With Organza Cerise Ribbon. Returns accepted within 14 days in perfect condition. Buyer pays for return postage. Small carry-all handmade tote. Wipe-clean outer fabric, lined with heavy duty calico, edges and handle reinforced with strong cotton contrasting webbing making this a very strong little bag. 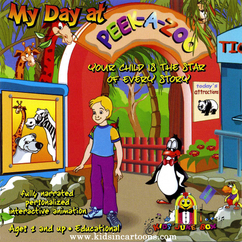 Perfect for..
Run away into the bright and colourful magic of Eversews Circus Teepee to explore the fascination with the derring do and timeless tom foolery of clowning around. 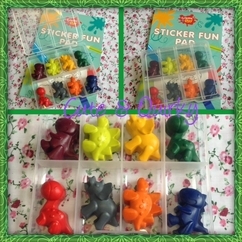 Motifs: Ringmaster, Big Top, Juggling.. Right to Cancel Under the new regulations you, the consumer,have the right to cancel anytime from the date your order is placed, up to 14 days after your item has been received unless the order is for.. Delivery approx 2-4 weeks from receipt of 50% deposit. Balance payable before goods are dispatched. All goods are sent by courier to your Paypal address and must be signed for. 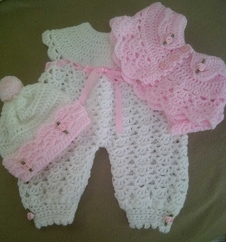 Should an item be faulty..
Lovely crochet set for tiny baby consisting of romper, bolero and hat in soft 4ply yarn. Sizes available are 31cm and 36cm. 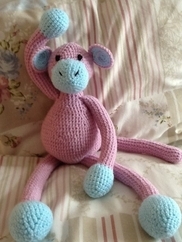 Can also be made using double knit yarn in 41 and 46cm sizes (request prices.. 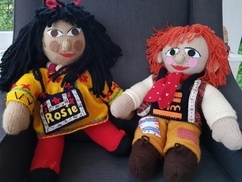 Measuring 25cm this soft doll is made out of 100% cotton fabric and held together with elastic. 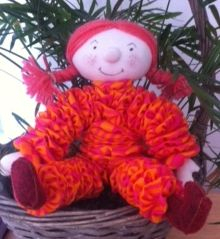 Sugar is pink and orange with redish felt boots and with pinkish wool hair. 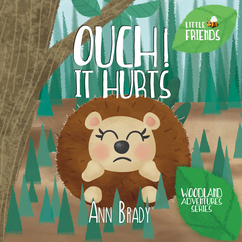 She is soft and squidgy and.. 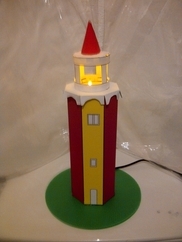 The National Trust at Dover in Kent ask us to design a model of their lighthouse. 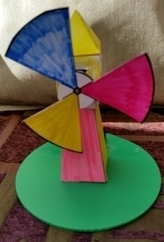 The card model KIT is easy to construct and the kit consists of: a green corex disc for the base, A4 card templates..
Returns accepted in unused undamaged condition. Buyer to pay return delivery costs. 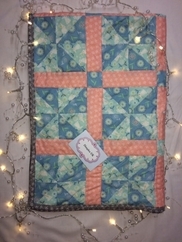 Handmade baby quilt usable on bed or as a floor quilt. 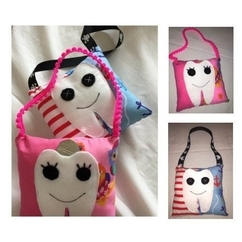 Made from polycotton fabric with polyester batting. Wash at 30 degrees. Would not recommend tumblr drying. Cool iron if necessary. 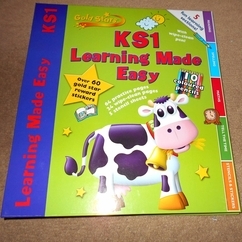 Keep away from..
Once signed and personalised with a message to the child these books cannot be returned. 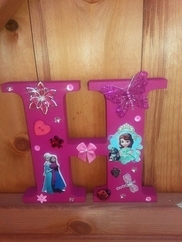 Freestanding or wall mounted names/words. 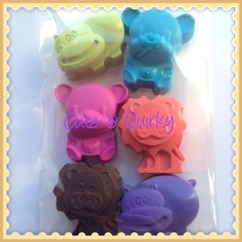 Uppercase letters approx 6" tall and lowercase letters approx 4" tall Can be made in any colour or design (message me with requirement Price is per..
6 Jungle animal crayons, Nice & chunky crayons great for those little hands, Colours vary in each pack, Please pop by our Facebook page to see our complete range. 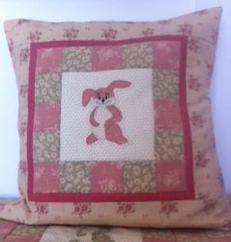 This is a large 18" cushion filled with a fire safe polyester cushion pad. 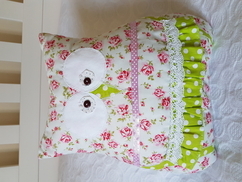 It is our own design with a combination of patchwork and applique using 100% cotton fabric. It is a lovely addition to any.. 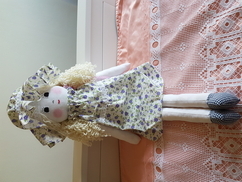 This lovely doll stands approximately 17 inches � Her body is tea dyed cotton with various manmade and natural materials for her clothes and hair. 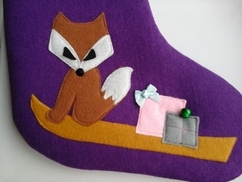 Felt shoes with button/Bow or Butterfly and/or button..
A hand sewn bag charm/keyring in felt. 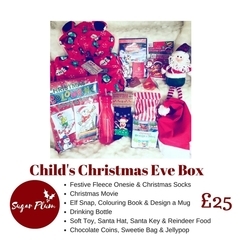 Ideal for a pass the parcel prize or part of a party bags bulk orders will recieve discounts Will hand sewn features for younger children as. 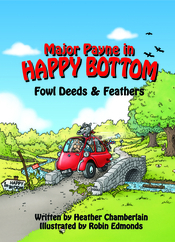 I use braids for eyes..
Children's book: Major Payne in Happy Bottom - Mishaps and Mayhem In Mishaps and Mayhem, the second book in the wacky humorous Happy Bottom trilogy, you will discover how Major Payne attempts to defeat.. Your sheep will be lovingly wrapped and shipped to you within 1-2 days from receiving payment. 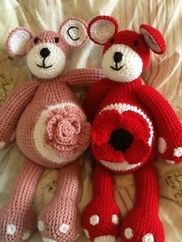 These handmade sheep, wearing scarves, are ideal for collectors, would make someone a lovely gift and they can be personalised by choosing the scarf colour e.g a favourite sporting team. 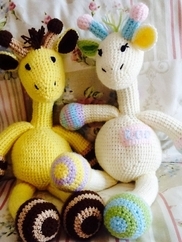 Each sheep is..
All items are handmade to order so please allow 1-2 week's for dispatch unless otherwise stated. As item's are personalised returns are only available if product is faulty. Please contact us for more.. 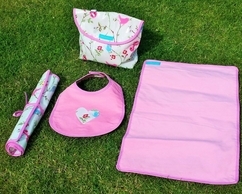 Perfect gift for the gardener in your life, or for the beach or carrying those baby essentials around. 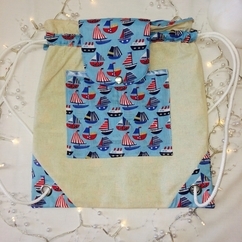 This handy bag is robust and has a wipe clean outer, fully lined with heavy duty Calico, and has..
Ready for an adventure? Eversews sturdy teepee is the perfect centre piece to stimulate the creative battles between goodies and baddies as little cowboys and Indians go on a journey to discover the..
8 Dinosaur crayons in a carrycase with a free doodle pad, Ideal for those long car journeys or great as little presents, Crayon colours & doodle pad vary in each pack. Please pop by our Facebook page.. 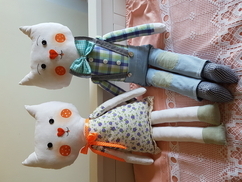 Measuring 25cm this soft doll is made out of 100% cotton fabric and held together with elastic. Billy is blue/grey check with turquoise felt boots and hat with faun wool hair. He is soft and squidgy and.. 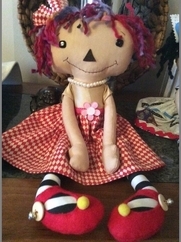 This lovely doll stands approximately 17� � Her body is tea dyed cotton with various manmade and natural materials for her clothes and hair. She has a lovely bead necklace, striped black and white stockings.. I use Royal Mail first class for posting items out to you and will post within 1 day of cleared payment received. If for any reason you don't like the item or it doesn't fit, you can return it to me.. 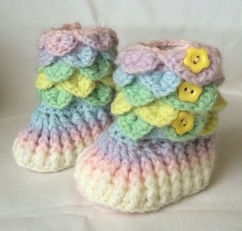 Very cute handmade crochet slipper boots in size children's UK 4 - 6, US size 5 - 7. The sole measures 12cm long. They have a crocodile stitch top which has three buttons on which can be opened. 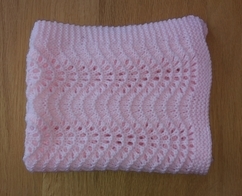 The..
A pink handknitted Doll's pram, cot or carrycot blanket. 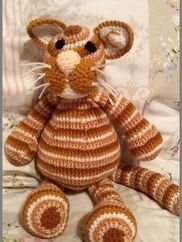 Each blanket measures approximately 33 x 45cm (13 x 18inches), made with acrylic baby wool. 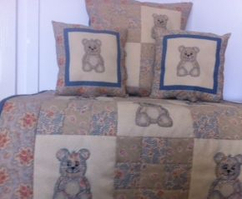 Each blanket is handknitted in a smoke free environment..
Returns only accepted if unused or undamaged. 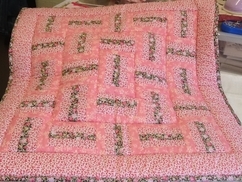 Handmade pink baby quilt. 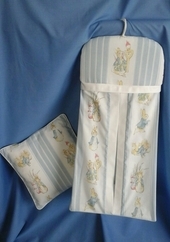 Made with cotton fabric with polyester batting. From pet free smoke free home. Recommended to wash at 30 degrees, and cool iron if necessary. Keep away from naked flame. 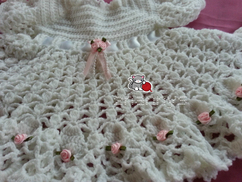 Not..
Beautiful crochet dress and shoes in soft 4ply yarn trimmed with pale pink roses and ribbon. Available in 31cm and 36cm. 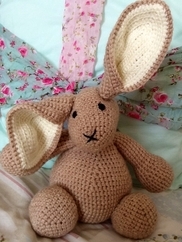 Can also be made in double knit yarn in sizes 41cm and 46cm. Will.. Please refer to Cancellation & Delivery Rights. Handmade Beautiful Pink Animal Print Drawstring Bag. 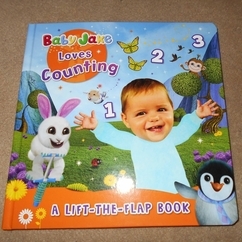 Includes 3 Bibs, 1 Shoulder Burp Cloth, 3 Lap Burp cloths and a Decorative Heart. 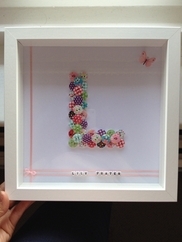 Would make a lovely Baby Shower Gift. 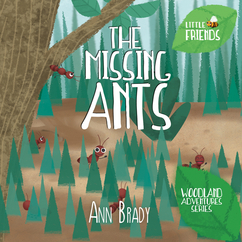 Abby Ant seems to have lost her sister and two brothers so asks Flora Frog for help. 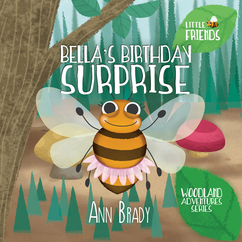 Flora also asks Bella Bee, Dolly Dragonfly and Boris Wasp to help go find them. Soon the missing Ants come back but..
Hand knitted Frozen inspired snowflake hat. 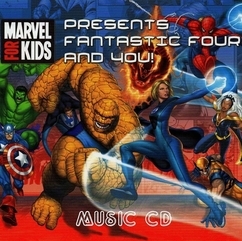 Suitable for children aged roughly 5-10 years. 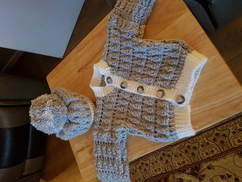 All items are hand made to order. 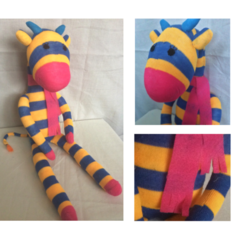 Introducing Georgina the Sock Giraffe The perfect toy for your child to play with or as a lovely decorative on the shelf -100% NEW materials - Good quality fabrics - CE tested *If you have any questions.. 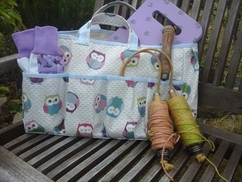 This handy bag is ideal for the gardener, taking to the beach or for carrying all those baby essentials. 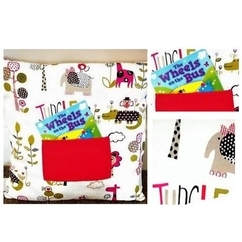 Wipe clean fabric outer and fully lined with heavy duty Calico, this bag is strengthened with co.. 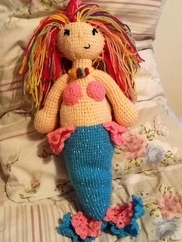 This lovely doll stands approximately 17inches. Her body is tea dyed cotton with various manmade and natural materials for her clothes and hair. Felt shoes with button/Bow or Butterfly and/or button.. Final payment will not be due until you are happy with a photograph of your order. 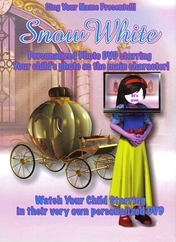 Designed and created especially for your new born princess in the colour of your choice. 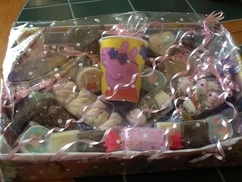 Full set includes gown, shoes, scratch mittens, hat, shrug, presented in gift hamper basket with personalised.. 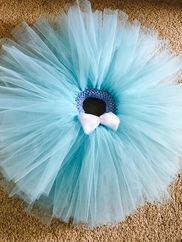 This handcrafted Cinderella themed tutu is perfect for dress up and parties created with light floaty tulle and a stretch waist band. The tutu fits children from age 2-7 fitting up to waist measuring..
Returns policy There is a 10 day returns policy full refund- cost of returns is paid by buyer due to the size of the business. Items must be returned in the same conditions as when shipped out. 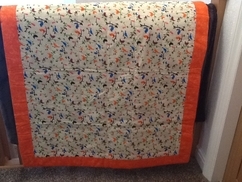 Handmade child's quilt suitable for cot or cot bed. No specific colour so suitable for boy or girl. 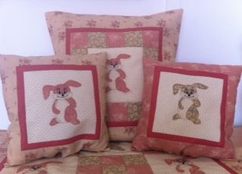 Made from cotton fabric with polyester batting. Measures 46" x 37". 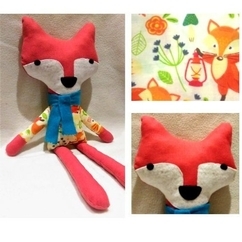 Recommend washing at 30..
Meet Freddie the Fox Freddie wears a fox pattern jumper with a blue felt scarf Perfect for your child to play with or as a lovely decorative on the shelf. 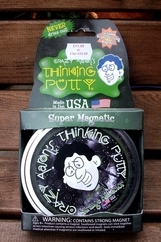 -Made with 100% NEW materials -Good quality.. 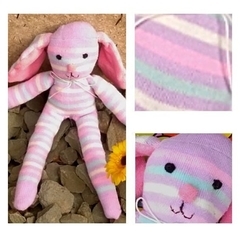 Measuring 25cm this soft doll is made out of 100% cotton fabric and held together with elastic. 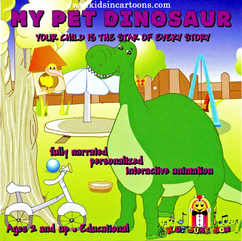 Archie is lime green and yellow with yellowfelt boots and hat with yellow wool hair. 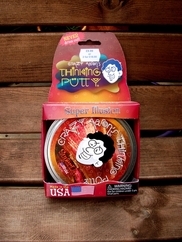 He is soft and squidgy..
An action filled super hero adventure where your favourite star defeats the villainous Professor Nasty from all his dastardly deeds. 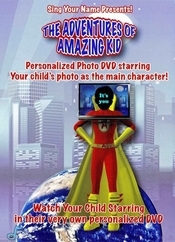 Amazing Kid flies at Mach speed, is a martial arts master and journeys.. Unfortunately I do not accept refunds. 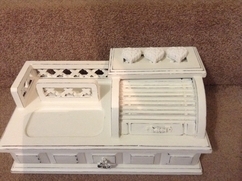 In the unlikely event that your item needs repairing I will be happy to do so with no charge. 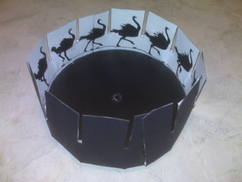 Created from a single folded book, the carousel can be decorated and personalised to suit any occasion (Christmas, Easter, birthdays, christening, etc). 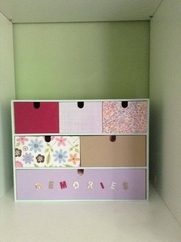 Handmade to order, colours and design can be discussed.. This lovely dolly stands appropriately 16 inches. Her body is made from tea dyed cotton with various manmade and natural materials for her clothes and hair. 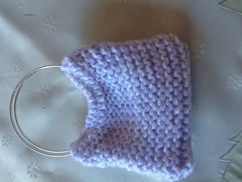 She has a lovely bead necklace, white and black..
A baby lilac handknitted Doll's pram, cot or carrycot blanket. 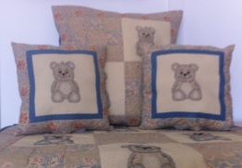 Each blanket measures approximately 33 x 45cm (13 x 18inches), made with acrylic baby wool. Each blanket is handknitted in a smoke free.. 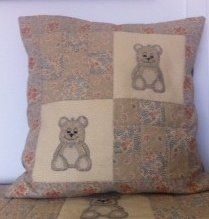 Pretty cot quilt with a bear applique and patchwork design. 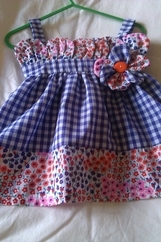 Made out of 100% cotton fabrics in blue and cream. 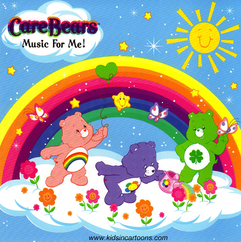 35 x 25 inches in size it would add that special touch to any nursery. Matching cushions..
3D Quote Frame for Baby Boy Blue. 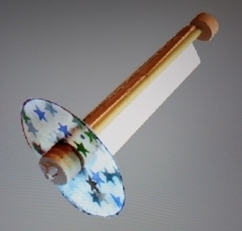 Twinkle Twinkle Little Star with embellishments. 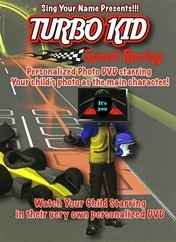 The perfect gift for children of all ages. 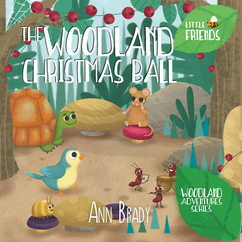 Your woodland wallhanging will be lovingly wrapped and shipped to you within 1 - 2 days from receiving payment. 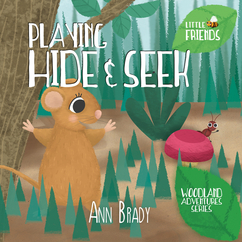 This woodland wall hanging would make a lovely decoration for a child's room, or a gift for a nature loving adult. 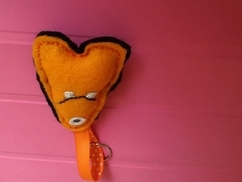 It is made from good quality felt.and each item has been hand embroidered. 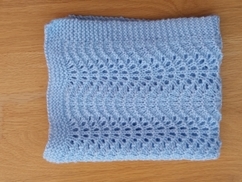 The hanging..
A baby blue handknitted Doll's pram, cot or carrycot blanket. 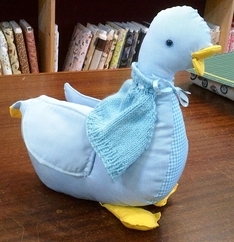 Each blanket measures approximately 33 x 45cm (13 x 18inches), made with acrylic baby wool. 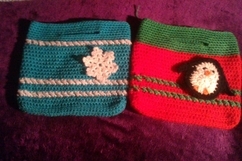 Each blanket is handknitted in a smoke free.. 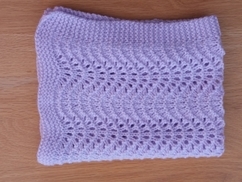 This lovely baby blanket is made from Stylecraft special yarn and is lovely soft and squishy. 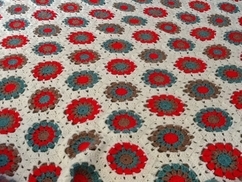 This item available for sale but I welcome orders of this blanket in the choice of your colours. Please contact..
Baby blanket in Turquoise and white 28" X 28"
This is a baby blanket that is different from the usual granny squares. It has a lovely shell border. It is a take on the Virus shawl pattern. This pattern is courtesy ofJonna Martinez. This listing.. This listing is for a pretty baby girl's hat in apricot. If you are wanting this in a different colour please ask and I will give you a timescale for completion. Dispatch 1 - 3 working days I hope you will be pleased with your purchase, but if your not happy please contact me within 7 days to discuss refund / return. Door names. Painted, papered and embellished. 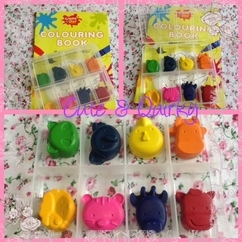 Includes sticky pads for mounting on door Letters 7.5cm tall Can be made in any colour or design (message me with requirements) Price is per letter so..
10 heart crayons in a cellophane bag ideal as party favours. 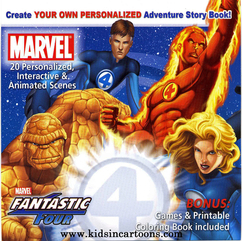 Colours vary in each pack. For full selection of items please pop by our Facebook page. 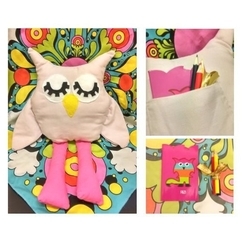 Olivia the Owl Soft Toy with pouch The perfect toy for your child to play with - All materials used are 100% NEW - Good quality fabrics - Made to a high standard - Mini notebook and colouring pencils..
8 Animal face crayons in a carrycase with a free doodle pad, Ideal for those long car journeys or great as little presents, Crayon colours & doodle pad vary in each pack. 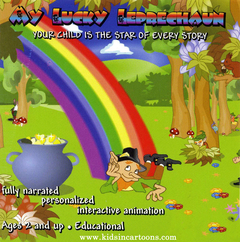 Please pop by our Facebook..
Every wannabe princess will be transported into their fairy tale realm in this Eversews animated dream world. 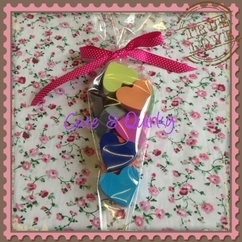 The creative passion for play that awaits is mirrored by the vibrant heart shaped bunting..
PUL Wet bags .Good to have in a baby's changing bag for reusable traditional nappies, damp or messy items.They are waterproof and can be laundered together with other items.They come with a hook to hook.. 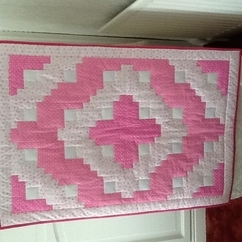 This is a lovely traditional granny square baby blanket. 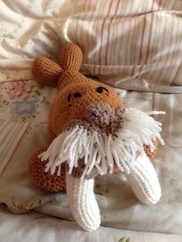 Made with Stylecraft Special acrylic yarn - colours clematis and cream. 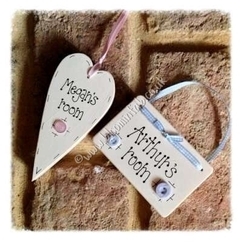 Can be made in other colours please ask and I will be happy to make one..
All item's are made to order so please allow 1-2 week's for dispatch unless otherwise stated. All personalised item's are not included in the refund policy unless faulty. Bunting. Painted, papered and embellished. 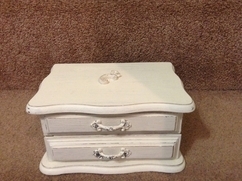 Can be made in any colour or design (message me with requirements) Any amount of pieces available. Price is per piece so change quantity accordingly. 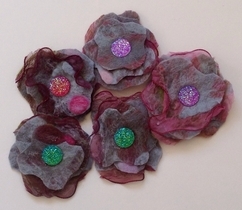 Hair slides, made up of stiffened nuno-felt, on silk chiffon. 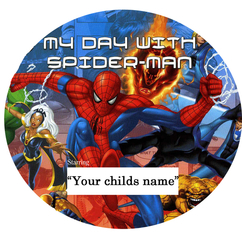 Can also be clipped onto jackets or coats. 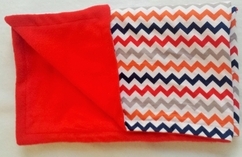 Tag blankets that replicate fruits orange, apples, introduce fruits to the young ones.They are made from Shannon's plush dimple very soft feel fabric. Little boys and girls will love the feel of this..
Children's book: Major Payne in Happy Bottom - Fowl Deeds and Feathers The first in a series targeted at 6 - 9 year olds, but it's illustrations and humorous rhyme have struck a chord with the young..
Knitted cardigan in a modern design worked in white acrylic aran yarn and fastened with white plastic toggles. 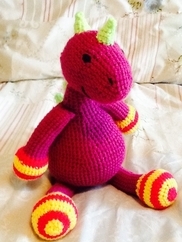 Available in sizes 46cm, 51-56cm and 61cm and can be made in any colour of aran yarn. I will only accept returns if the product has not been used or damaged by the buyer. Brain Games for Clever Kids is a book of brain games for kids which will keep them busy for hours. 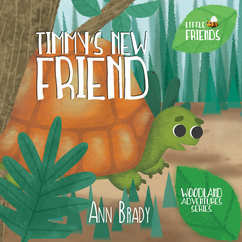 A new book which would make a fabulous gift. 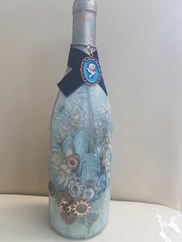 Step into Eversews enchanted kingdom that rises up out of the ground where the bunting around the skirt resembles long swishing grass and the deep floral patterns are mixed and layered to add significant..